The Lagos State Government says the Badagry-bound carriageway on the Lagos-Badagry Expressway will be closed for five hours on Sunday. 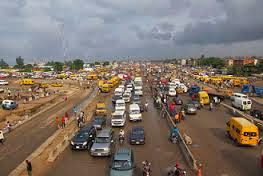 The Commissioner for Transportation, Mr. Kayode Opeifa, said this in a statement on Wednesday. Opeifa said the closure was necessary as part of efforts to deliver the first phase of the Blue Line Rail Project. He advised motorists and other road users to make use of alternative routes to avoid traffic delays. He said, “The contractor, China Civil Engineering Construction Corporation, will be installing pre-cast beams for the pedestrian bridge to take commuters into the rail station at Mile 2 and across the road. “The Badagry-bound carriageway on the Lagos Badagry Expressway will be closed to traffic between 7am and 12 noon on Sunday, October 20, 2013 to enable the contractor to install the beams.